It's All About the Walk! Join us on Sat. April 27 for "Step Up for The Arc" a fantastic day of fun, food, music and community inclusion!!! Due to unforeseen circumstances, this year's 5K has been placed on hiatus. We apologize to our loyal runners. The walk is still on and we invite everyone to join the walk and rockin' afterparty & BBQ at The Headliner in support of The Arc and the 1,600 individuals we serve. Please join the Board of Directors, the staff, and the entire Arc of Monmouth community in welcoming Robert Angel as acting Executive Director for The Arc of Monmouth. Bob brings tremendous leadership and management experience to the agency. We are honored to welcome him aboard in this role. 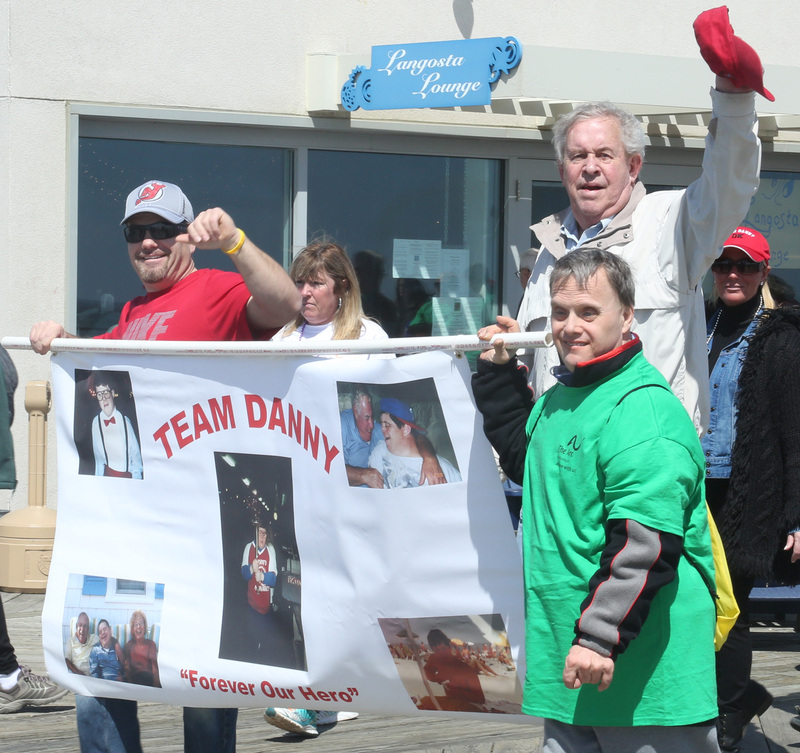 The Arc of Monmouth's annual Walk will be held Saturday, April 27, 2019 at a new location - The Headliner in Neptune, NJ. Join us for a full day of food and fun for the whole family! The Arc-Anabel Golf Classic returns to Deal Golf & Country Club on Monday, June 24th. Join us for a day of golf or for the awards dinner to meet our 2019 honoree, former NFL wide receiver, Miles Austin. Shop on Amazon and Support The Arc of Monmouth by using Amazon Smile. Click the button below to start your shopping on Amazon and choose The Arc of Monmouth! Amazon will donate .5% of eligible purchases to The Arc. Get started on a career that can change lives. Work for a place that touches the lives of people with intellectual and developmental disabilities. Looking for volunteer hours? Organize your own fundraiser at school or in your town, and earn volunteer hours for your fundraising efforts. Call the Development office at 732-493-1919 ext. 125 for more details. DDD’s new Supports Program can be overwhelming – but we are here for you. Click the button below for more resources on this transition. The Arc of Monmouth is here for you and your family. The Arc of Monmouth hosts a variety of informational and fundraising events. There are many ways to get involved with The Arc of Monmouth and make an impact in the lives of individuals with intellectual and developmental disabilities. TINTON FALLS – March 28, 2019 – Robert Angel, Holmdel, was named acting executive director for The Arc of Monmouth, effective immediately, announced Father Hank Hilton, president of The Arc’s board of directors. A member of The Arc’s board of directors for the past four years, Angel has had a distinguished career in healthcare, spanning 40 years on three continents. He has served as CEO of a large public hospital in his native England and, more recently, as president and CEO of a global medical device business based in New Jersey. The Arc of Monmouth is the largest provider of services and supports for individuals with Down syndrome, autism, and other forms of intellectual and developmental disabilities (I/DD) in Monmouth County. The Arc provides a lifelong continuum of services for more than 1,600 individuals in locations throughout the county, including group homes and independent and assisted living apartments, center and community-based employment programs, behavioral healthcare, adult day programs, college achievement classes, recreation and family support services. The Arc is committed to assisting people with I/DD thrive in every aspect of their lives, believing that people with disabilities are defined by their individual strengths, abilities and dreams – not by their challenges. To learn more, please call (732) 493-1919 or visit www.arcofmonmouth.org. NJ's Division of Developmental Disabilities (DDD) recently published their newest timeline for 2018 Graduates who will be aging out of the school system at the end of this school year. The DDD enrollment/eligibility process can seem overwhelming, but planning as early as possible for the future will help eliminate some of the stress. There are many resources available. We encourage families and young adults with I/DD to take advantage of transition fairs, workshops, and visit PlanningforAdultLife.org for many online resources. As always, please reach out to The Arc of Monmouth for all of your transition questions. We are happy to guide and support you through this process. Make a difference by donating an in-kind item on our wish list.